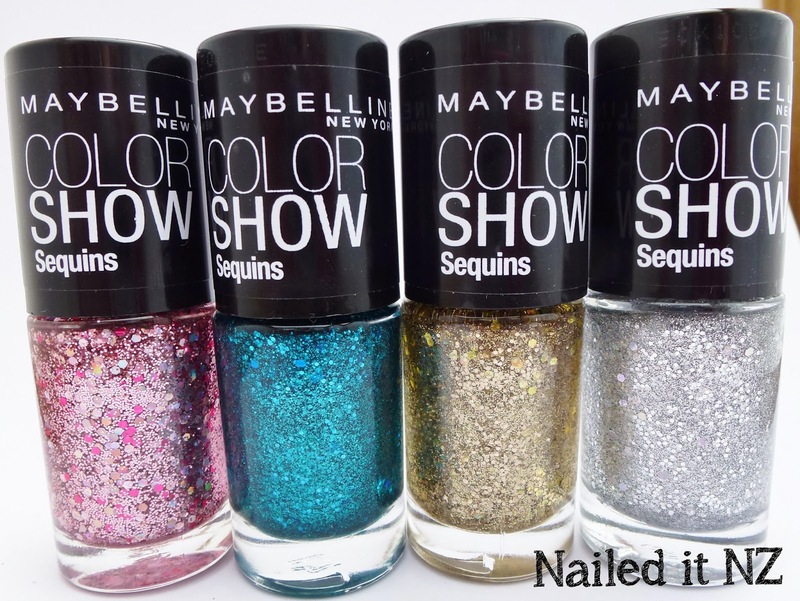 Today I've got some beautiful new Maybelline New York Color Show polishes to show you, as well as a new nail tutorial. The polishes are from their new Sequins collection and were perfect for this look! 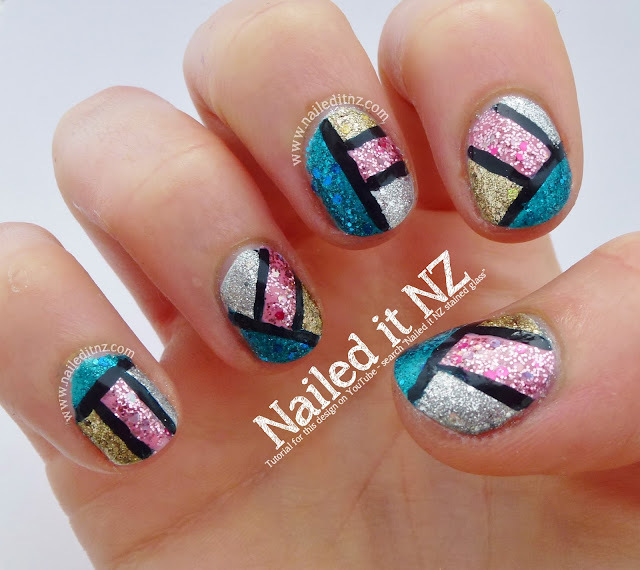 Sea-Quins, Rose Bling, Silver Gleam and Gold's Night out. I wanted to create a design that could incorporate all four colours, and this is what I ended up with. Hope you like it! Of course, it's essentially a colour block mani but I asked on Facebook for other names and stained glass was the most popular. I think it works! Here's the right hand - it actually turned out a little better than the left for once! Here's a shot of all the colours - I just love Sea-Quins! I love anything teal or turquoise so this was always going to be a winner for me. 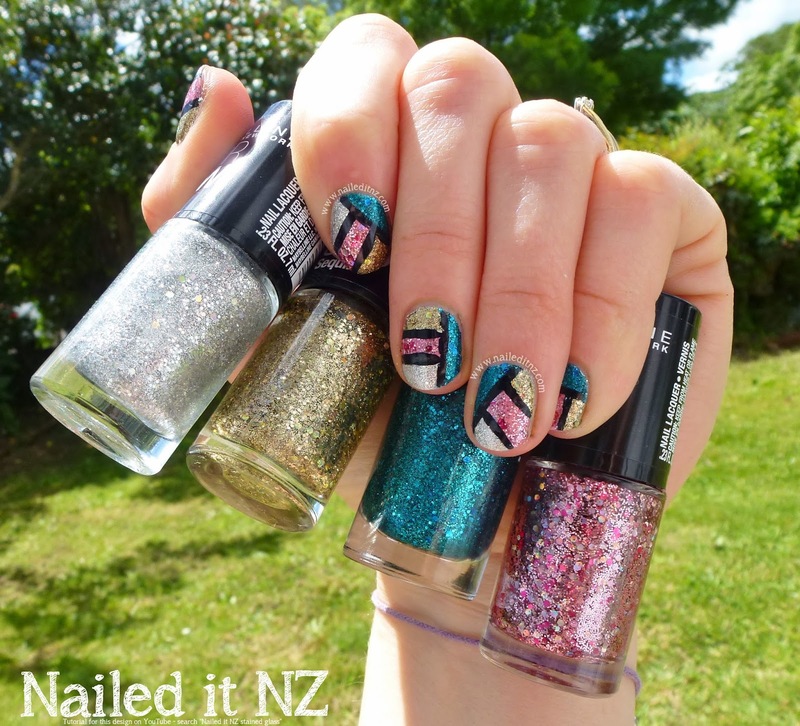 Here's a mini-review of the Sequins collection. I'm not going to describe it; you can see clearly what it looks like, plus I know very little about the difference between micro, macro and whatever other glitters there are! Rose Bling: Primarily a top coat, but can be used by itself if you do about three coats. Sea-Quins: Doesn't need a base colour - opaque in one or two coats. My favourite! Gold's Night Out: Similar to Rose Bling - better with a base colour underneath but still opaque after three plus coats. 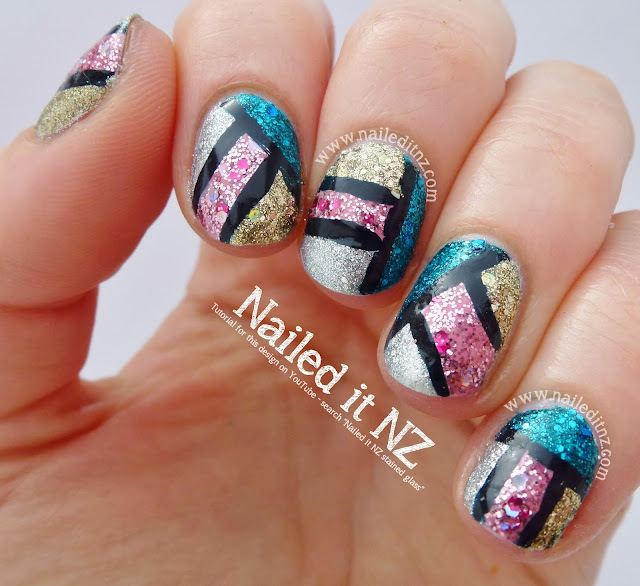 Silver Gleam: My second favourite - similar consistancy and application to Sea-Quins. Two coats are all you need. So if you want to buy any of these, my number one recommendation would be Sea-Quins. However they're all pretty cool so if you like the pink one more, go for it! 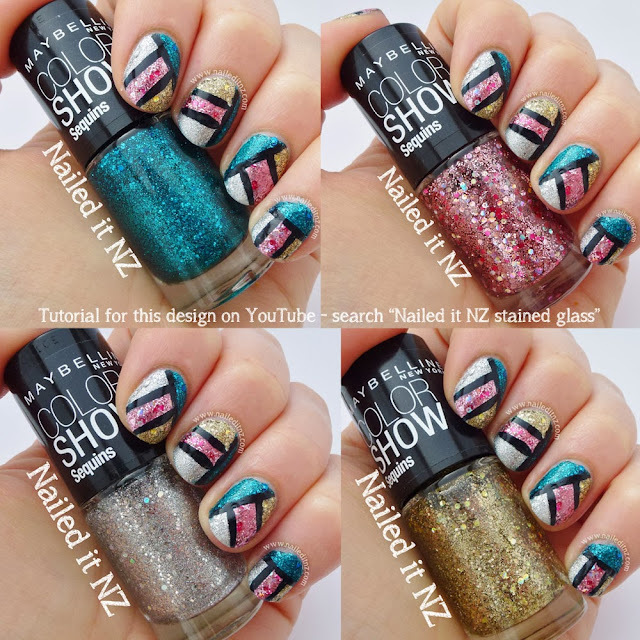 I should mention that the first time I wore this polish it was chipping the next day - so I was a bit iffy about it lasting with this design. However this time it was much better! I think the only reason it chipped so quickly the first time was because I was trying to pick off the loose bits of glitter around my nails. This dislodged the polish on my thumb from my nails and once one bit was gone I was straight to picking at the rest. Oops. Hope you like my stained glass/colour block design and tutorial! And Happy Halloween! P.S: I just finished Catching Fire (from The Hunger Games series) for the second time and am still teetering on the emotional roller coaster it sends me on. I know what happens very well but I just love these books so much!